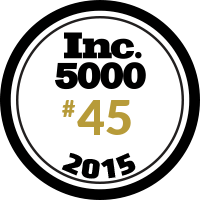 Noonday has been ranked 45th out of 500 in Inc. Magazine’s Fastest Growing Private Companies in America! Thank you to all our amazing Ambassadors, Artisan partners, Hostesses, and customers for believing in this big dream of ours and helping it spread. Together we are building a flourishing world! See our Inc 5000 profile here. Read more about how Noonday Collection blends employment with empowerment here.